MS041 is an older version of MS170 and has softer collar than MS170. Very soft, two way stretch crepe. 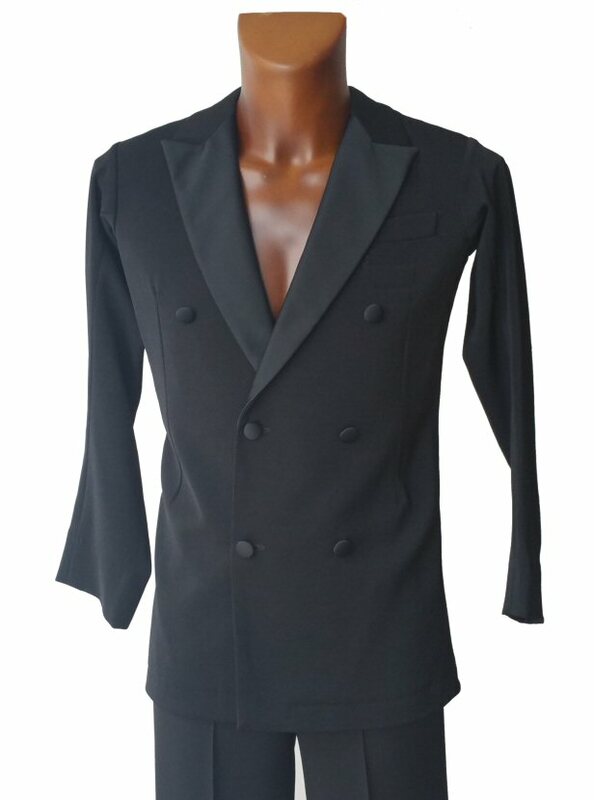 With buttons behind a front pleat, collar and cuffs. 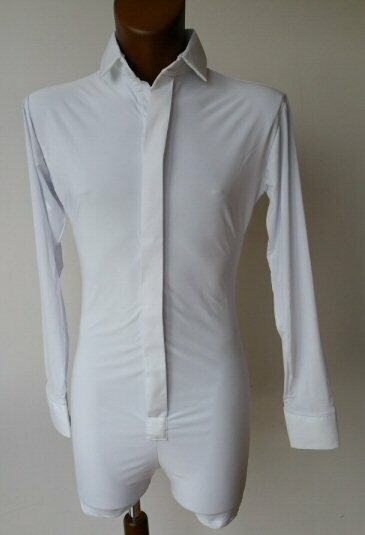 The cuffs come with single buttons. 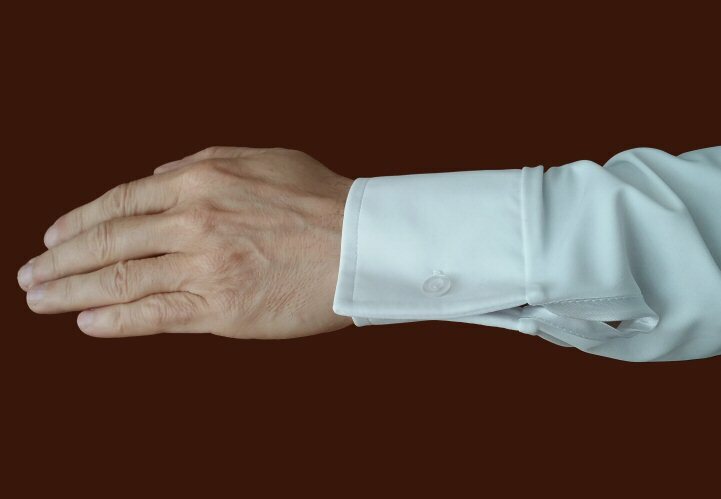 You can not use cufflinks. (If you are looking to use cufflinks please choose our E-MS171 design). The shirt is built on shorts, so it will never pull out from your trousers. MS041 is an older version of MS170 and has softer collar than MS170. Very soft, stretch cotton. 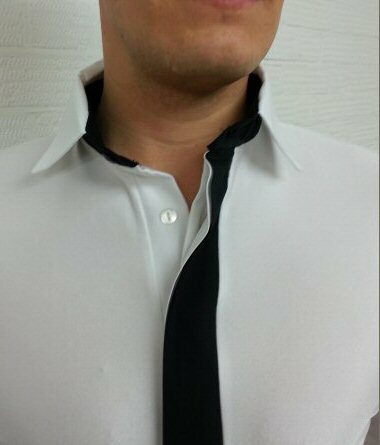 With buttons behind a front pleat, collar and cuffs. 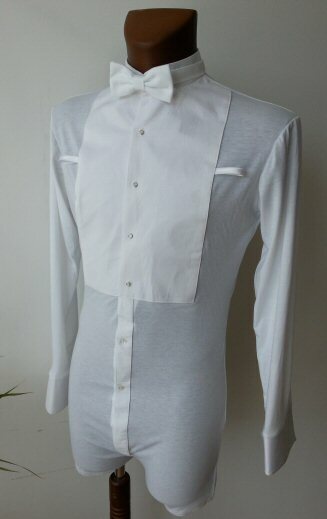 The cuffs come with single buttons. You can not use cufflinks. (If you are looking to use cufflinks please choose our E-MS171 design). The shirt is built on shorts, so it will never pull out from your trousers. This is the same product as E-W142 but made in more elegant patterned fabric. 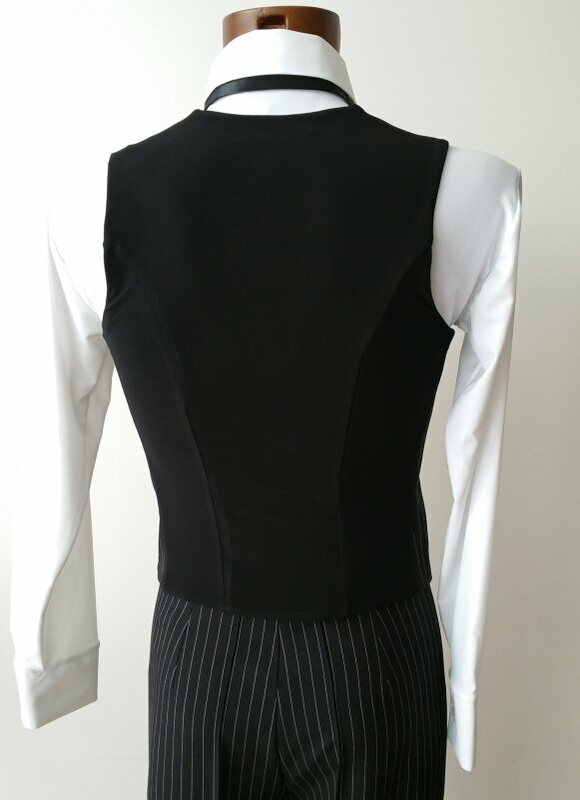 This fully lined, classic waistcoat is made from the same fabric as our E-MTR102 Entry level Ballroom/Latin trousers on the front and has a plain, elasticated back. 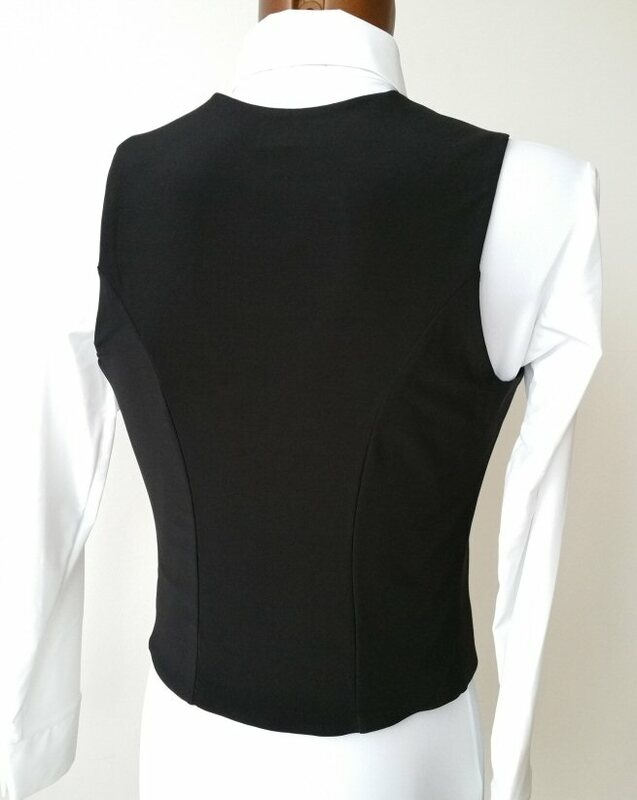 The back side will stretch up to 1 inch in width making this waistcoat very comfortable while dancing. Fake pocket on the left side. Black only. Waiostcoat is shown with E-MS041 shirt and Bow tie (not included). Length measured on the back from top of shoulder to hem 21 inch. Length on the front from top of shoulder to the lowest point 25 inch. 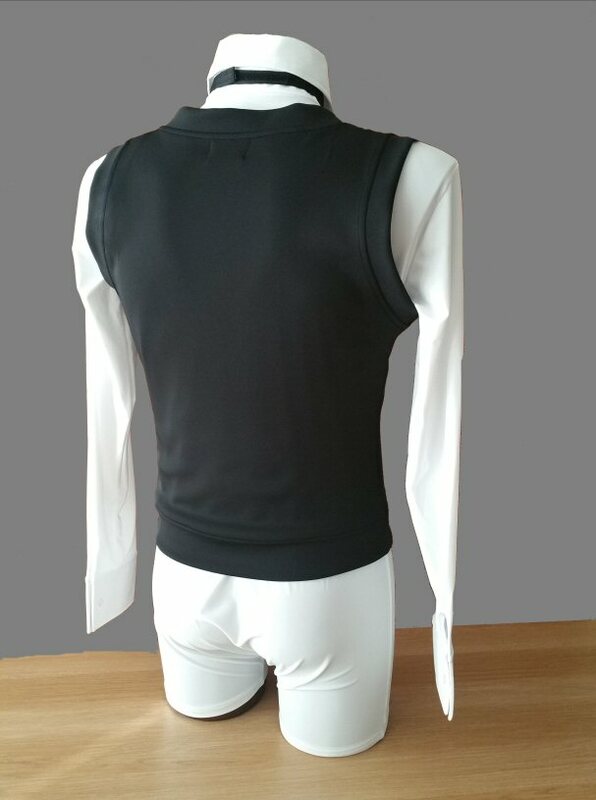 Apart from standard stock sizes this shirt can be made to your own size for £12.00. surcharge. Just select "custom size" in the size selection box and send us your: chest size, waist size, length from shoulder top to hem. 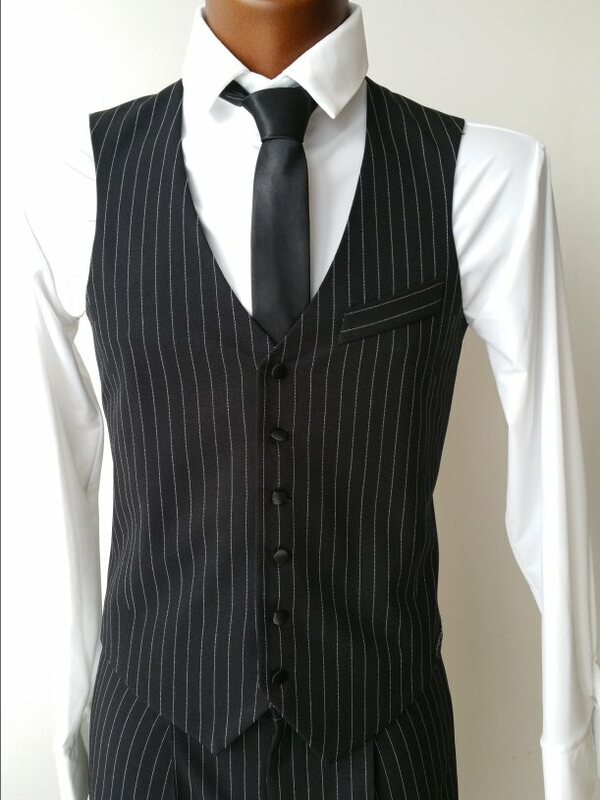 This fully lined, classic waistcoat is made from the same white pinstripe black trousers fabric as our E-MTR102P trousers and has a plain elasticated back. It can stretch up to 1 inch, what makes it very comfortable. Fake pocket on the left side. 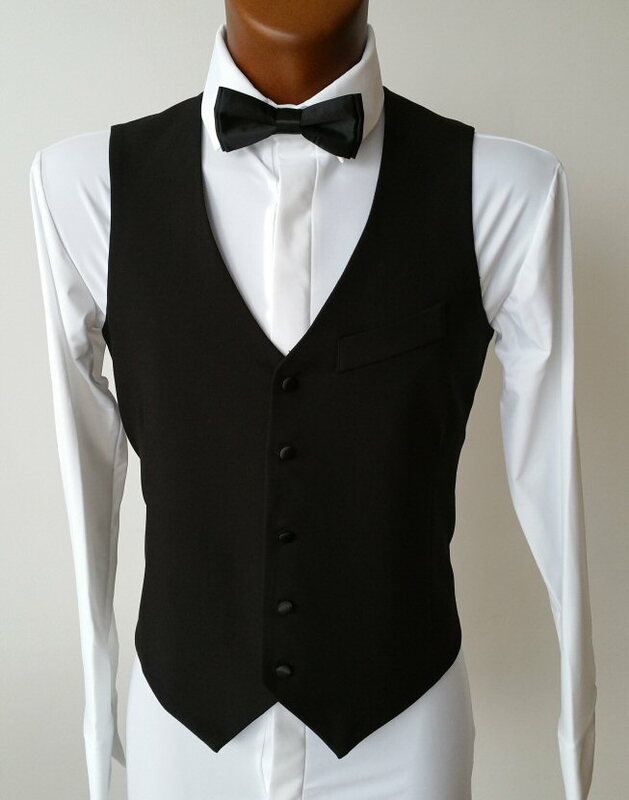 Apart from standard stock sizes this waistcoat can be made to your own size for £12.00. surcharge. Just select "custom size" in the size selection box and send us your: chest size, waist size, length from shoulder top to hem. 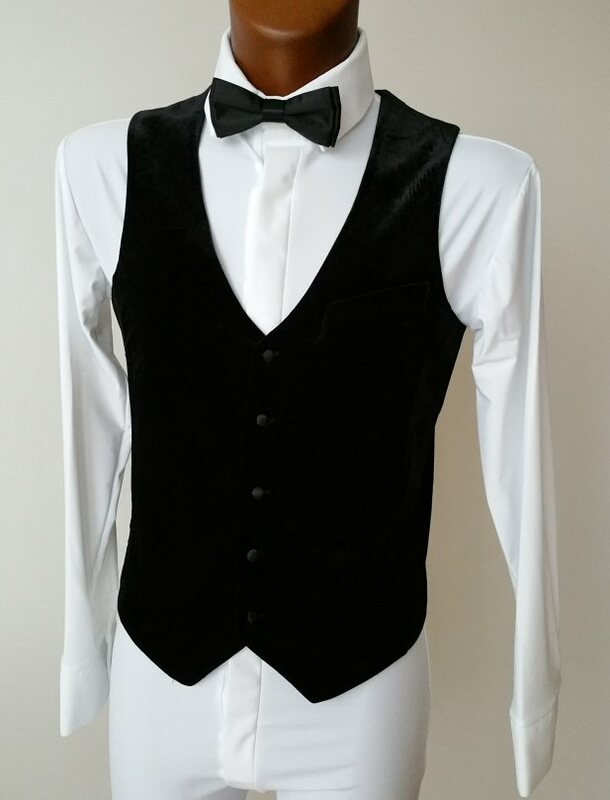 This fully lined, classic waistcoat is made from stretch velvet on the front and has the same plain, elasticated back as our E-W108 classic waistcoat. 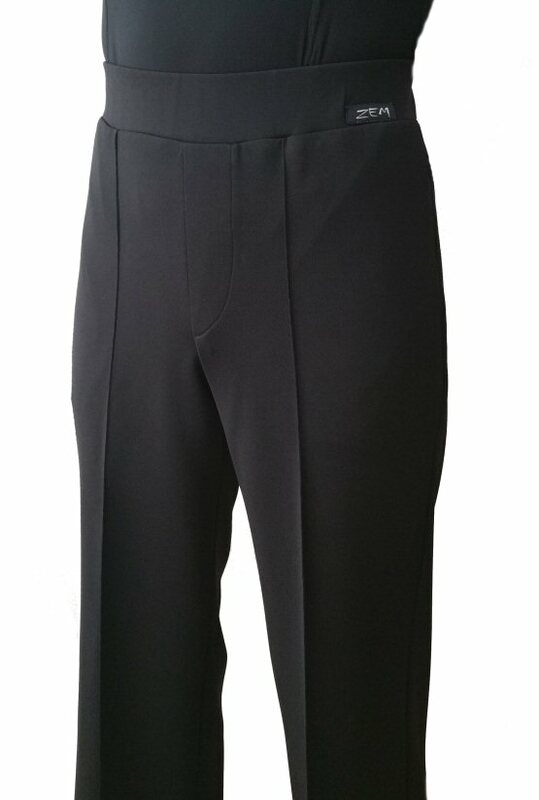 So overall it can stretch up to 2 inches, what makes it very comfortable while dancing. Fake pocket on the left side. Black only. 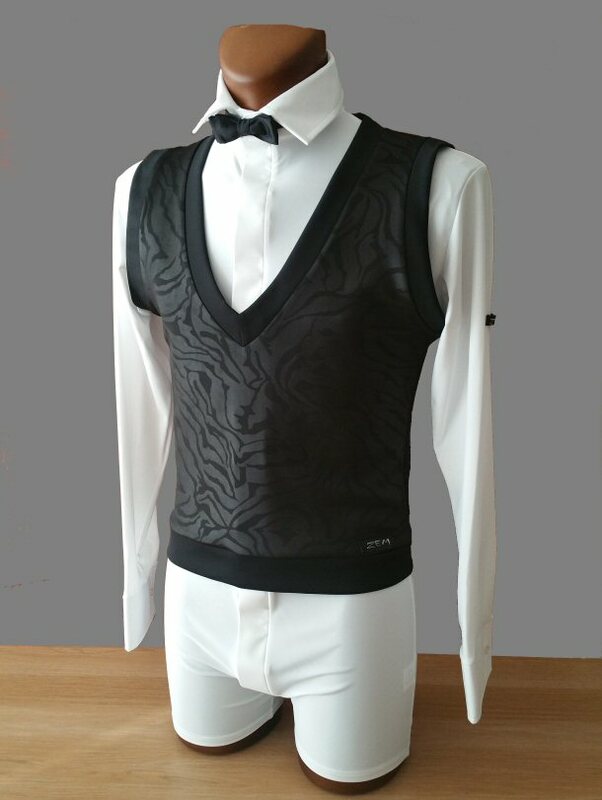 Waistcoat is shown with E-MS041 shirt and Bow tie. (not included). 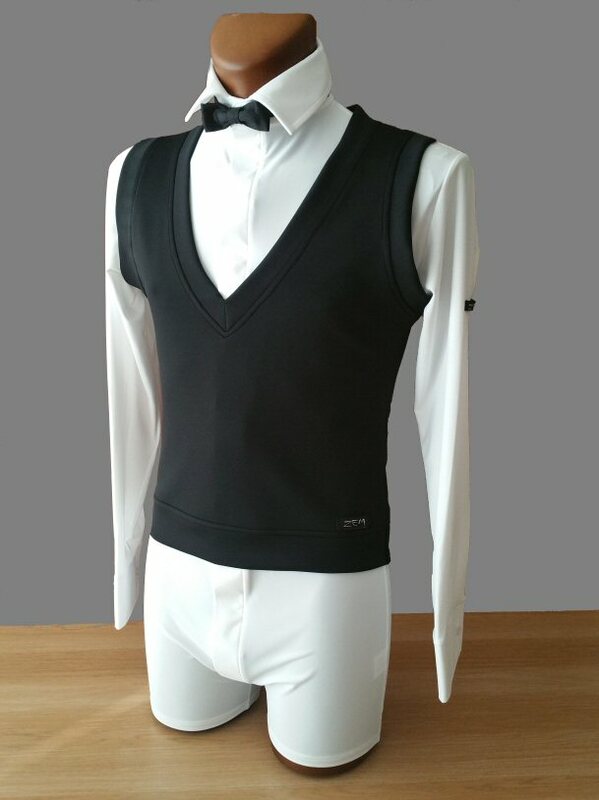 This long line waistcoat can be called a "jacket without sleeves". 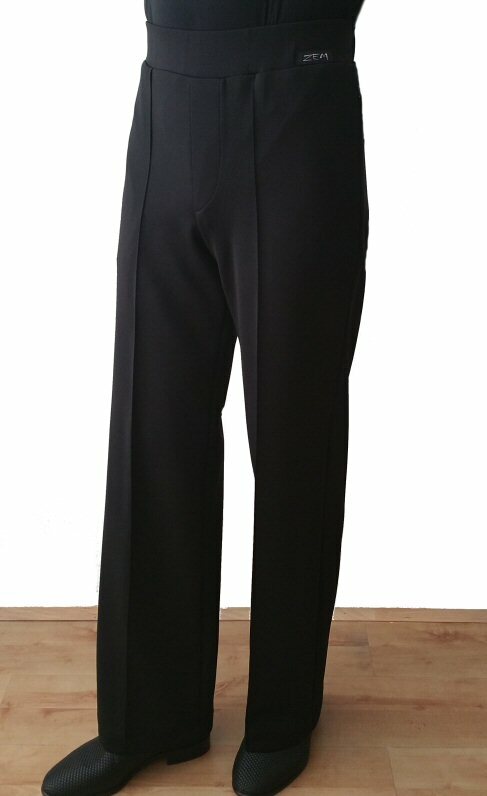 It is made from the same fabric as our E-MTR102 Ballroom/Latin trousers and finished with satin at front. Fake pocket on the left side. Black only. Soft, two way stretch microfibre. 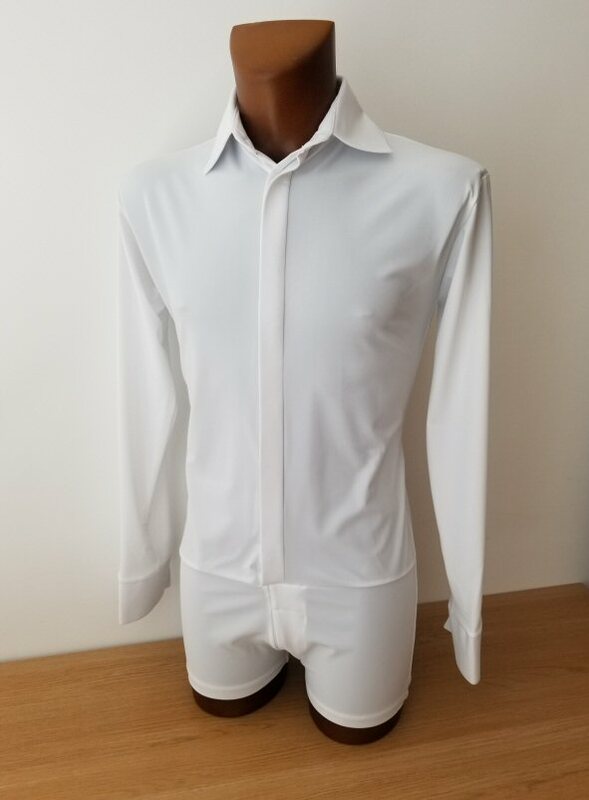 This shirt has the same cut as shirt E-MS041 (above) and is built on boxer shorts, so it will not pull out from your trousers. 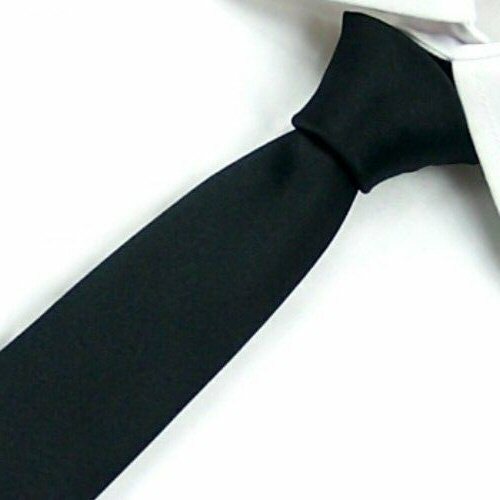 It also has a fake tie as part of the shirt design, so you do not have to wear a real tie or bow-tie. Soft, body friendly, stretchy cotton. The shirt is built on shorts, so it will never pull out from your trousers. Machine washable. 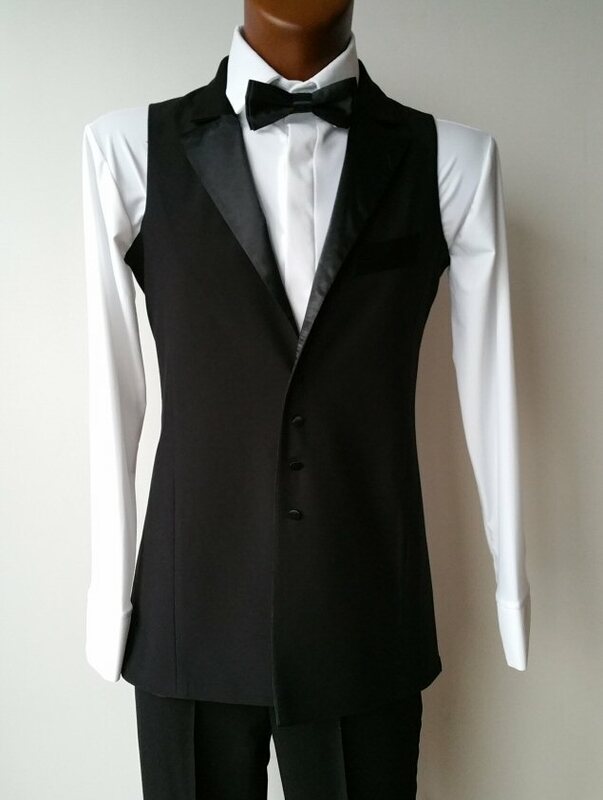 Collar, Bow tie and four Dress studs not included. These can be purchased separately. 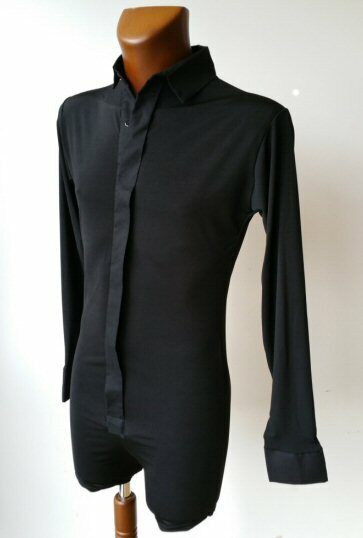 Sleeve length 22 inch from armpit to wrist, 25 inch from shoulder top to wrist. 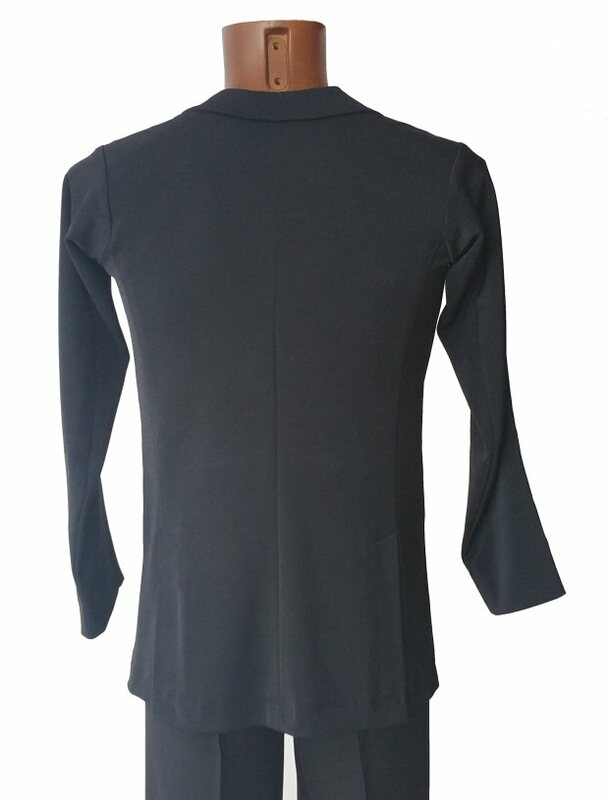 Soft, body friendly, stretchy cotton. 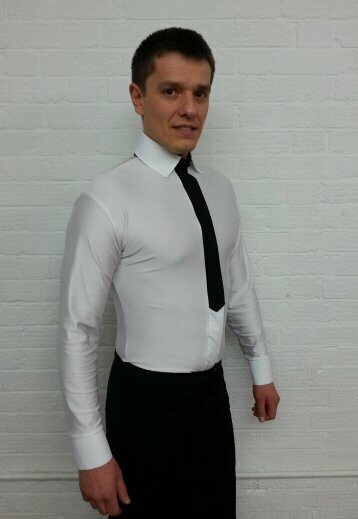 The shirt is built on body fitting, so it will never pull out from your trousers. Machine washable. 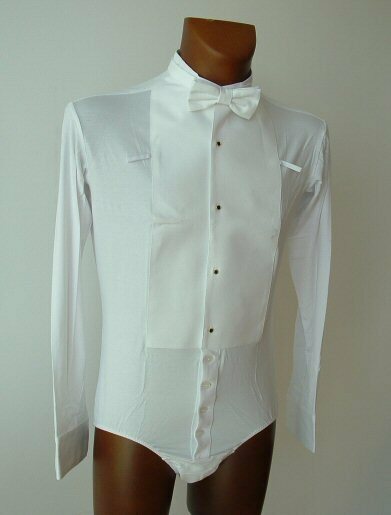 Collar, Bow tie and four Dress studs not included. These can be purchased separately. 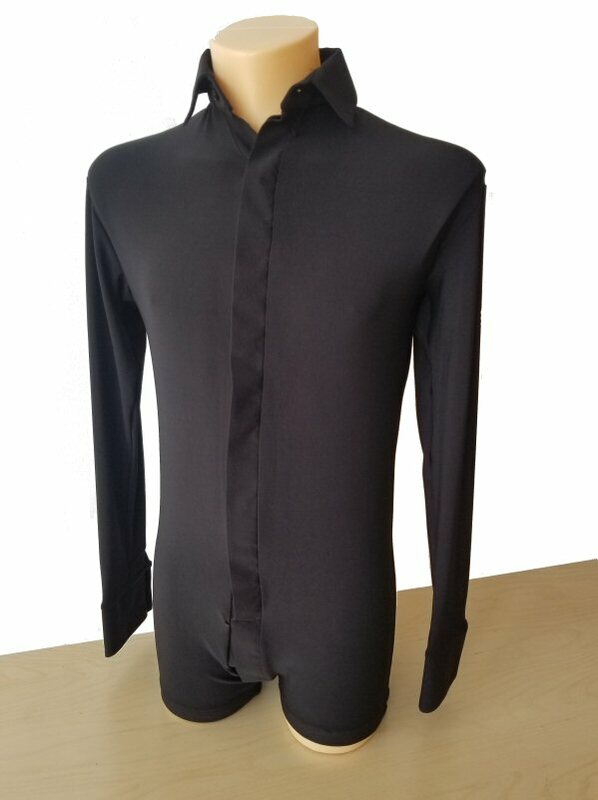 This very smart, stretchy, double breasted jacket is made in crease resistant fabric and has a satin collar finish. 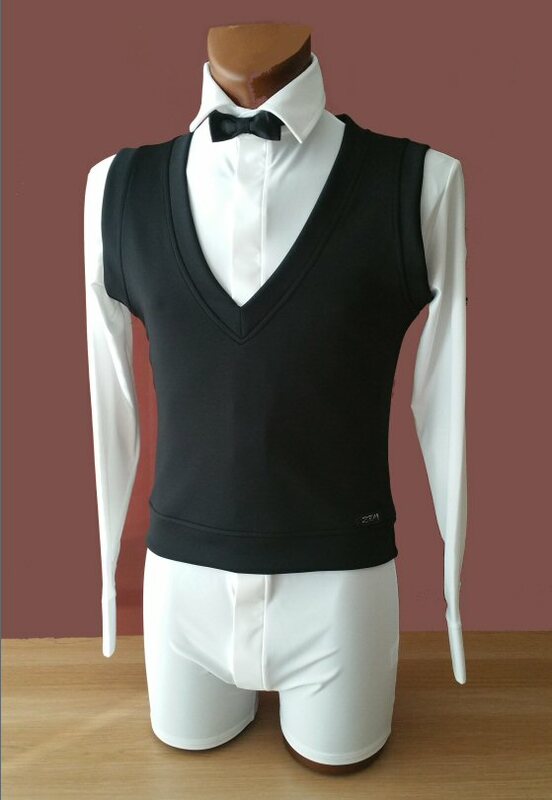 It is cut in the same way as Ballroom tailsuit, except it does not have the tails. Special arm cut allows you to keep the arms up for a long time without getting tired. The jacket will be made to your measurements to ensure good fit. 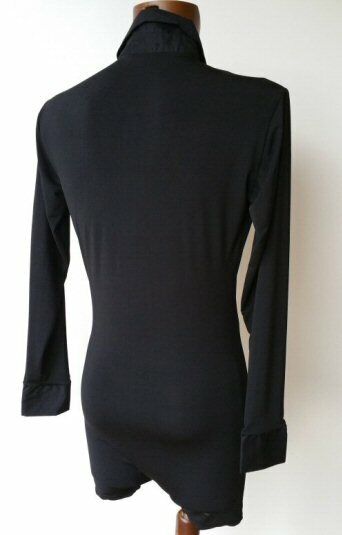 - Sleeve length armpit to wrist: - cm. 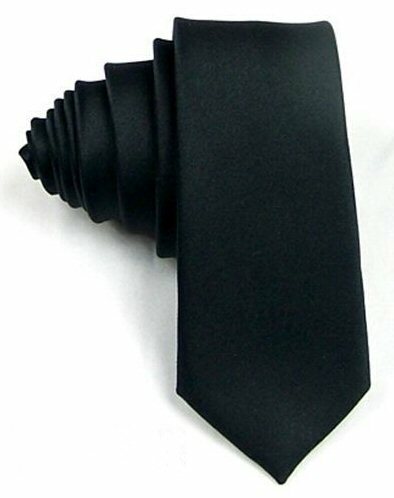 Classic, elegant mens black tie made in 100% silk.